Round 2 of the Suirway Group South East Stages Championship is the Moonraker Forestry. The event run by the Munster Car Club will consist of 4 stage locations, all done twice in excellent condition. Total stage distance of 64kms is going to offer an action packed day and will also offer up the Junior 1000 class again. This entry was posted in Events, Forestry, Munster Car Club on February 14, 2017 by admin. 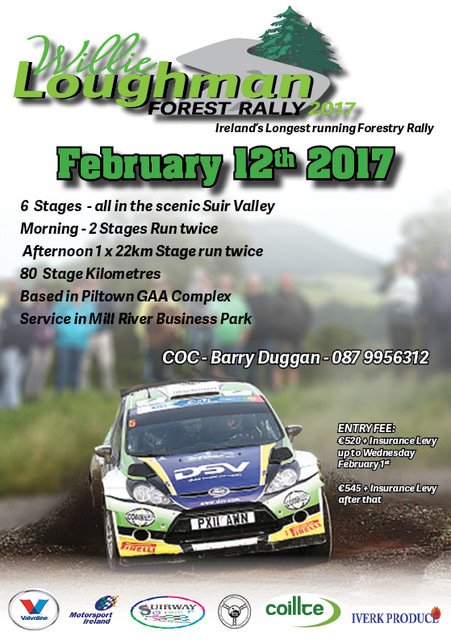 This entry was posted in Carrick on Suir Motor Club, Events, Forestry on February 3, 2017 by admin. This entry was posted in Carrick on Suir Motor Club, Events, Forestry on January 31, 2017 by admin. 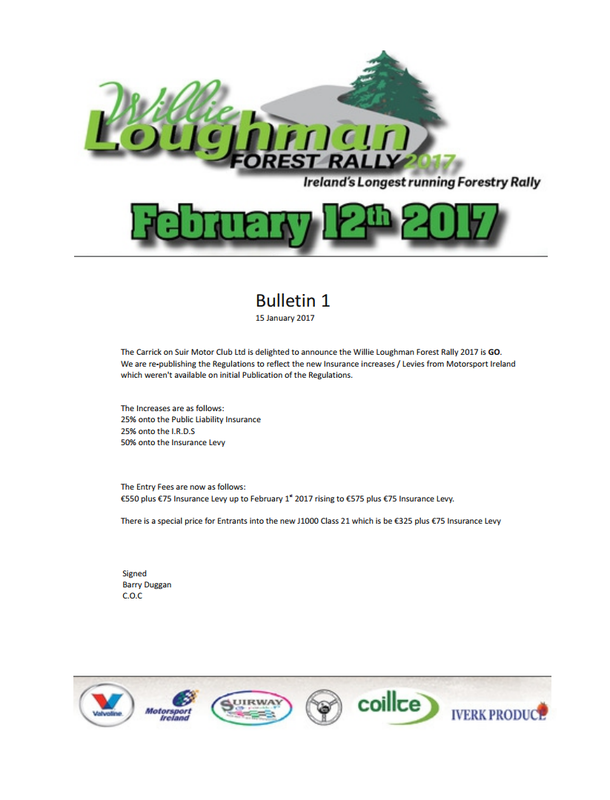 This entry was posted in Carrick on Suir Motor Club, Events, Forestry on January 16, 2017 by admin.